» What Is the Best Oil for Dry Scalp? When your scalp is overly dry, you’ll want the itchiness to stop and for your scalp to be soothed. It can be embarrassing to keep scratching your head in public, especially if there’s any flaking. Some products only treat the itchiness, so you need to use the best oil for dry scalp. It will not only alleviate the itching but will also help your skin to feel better. There are many good over-the-counter products available that can help to heal dry, itchy and irritated skin. But what you need is an oil that will not only heal dry scalp but will stop the itching fast. There are many oils available that help to achieve that objective, but some will make your hair look greasy. There are some, however, that do treat dry scalp without this unwanted side effect. We’re going to take a closer look at 6 of the best essential oils for dry scalp. We’ll discuss how to use them and how they work. If you’re short of time and want to go to our best pick, we recommend that you click here to find out about Now Foods Organic Jojoba Oil. Choosing the right oil depends on your hair type, especially as sufferers can also have oily hair. If you are using a product that treats oily hair, you may be taking away the skin’s natural oils, causing your scalp to become itchy. Quite often, dehydration will cause your skin to become itchy. This is because your body consists mostly of water. When it is deprived of moisture, it starts to take water from other parts of the body to help the internal organs to function. No matter what type of hair that you have – dry, oily, straight, curly, colored, permed, African-American, etc. you can still get a dry scalp. Some good essential oils have special properties that will properly treat your scalp. Below, you will find oils that are used for dry skin and scalp and why they are the best for your hair type. Also included in the description are products that contain these oils and how they work to treat this condition. This oil contains many vitamins and minerals that are supposed to be present in your skin but have been depleted. If your scalp doesn’t receive this nourishment, it will not only get worse, but the dryness will affect your hair if it hasn’t done so already. Coconut oil contains lauric acid. It is a fatty acid and is used in soaps and shampoos to revitalize and nourish the skin. The oil not only moisturizes, but it works to keep the moisture in. It also has many healing properties (antioxidant, antifungal, and antibacterial). Good for all hair types, coconut oil will penetrate through the layers of dead skin to put the vitamins back into your skin. These vitamins and minerals include Vitamin E and K, and iron. It also provides instant relief from the irritation and itching. Find out more about coconut oil for dry scalp. This oil helps to clean the residue from any hair products that you use. Every hair product leaves residue no matter how much you wash your hair. It contains the vitamins and nutrients that are normally present in your skin, which is why it works so well. Olive oil, especially when used in hair care products, will soak into your scalp and clean your pores, removing the dead skin from your scalp. It also cleans the hair shafts and rehydrates it, so that your scalp and hair get the nutrients that they need to become healthy. It’s good for all hair types. Find out more about olive oil for dry scalp. Tea Tree Oil (Melaleuca Oil) is an excellent oil for many skin-related issues. It’s native to Australia and has been used for hundreds of years. It naturally contains antifungal, antibacterial, antiseptic, and anti-inflammatory properties. You’ll find that it’s added to many products, such as shampoos, to help to heal itchy, dry scalp. It is a potent essential oil. That is why it is often mixed with other essential oils (such as olive oil) when used in natural remedies. Tea tree oil gets rid of any residue (including excess oil) that has gotten under your skin and on your hair shafts. It works to gently clean this debris and rid your scalp of the dead skin cells, allowing the healthy cells to surface. It is used in many hair and skin products, including those for dandruff. Dandruff is different from dry scalp, as it is a type of infection. But tea tree oil will remove the infection. 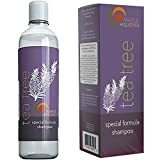 Find out more about tea tree oil for dry scalp. Made from argan nuts, it has anti-inflammatory, antifungal, and antioxidant properties. It contains vitamins that are essential for healthy skin. Vitamin e is especially good for skin problems. It will soak into your scalp, healing it and restoring the natural balance to not only your scalp and hair. By massaging argan oil into your scalp, you will not only be able to heal your scalp, but the itchiness will go away. There are oils for hair care that contain argan oil, and they combine it with other essential oils to make it the best for cleaning and opening your pores. It also prevents your scalp from becoming dry again. Find out more about Argan oil for dry scalp. Jojoba oil almost perfectly mimics sebum. This is the natural oil found in your skin that moisturizes it. The products that we use in our hair for styling leave a build-up of residue that starts to block that oil from coming through, thus causing dry skin. This oil is also hypo-allergenic. It’s recommended by cosmetologists and dermatologists because of its healing properties. It puts the natural oils back into your scalp to make it healthy. You can use Jojoba oil for your hair on a daily basis. It can be used as a hot oil treatment – just warm it up and massage it into your scalp, then shampoo as normal. It’s also found in natural hair care products that are formulated with other essential oils. 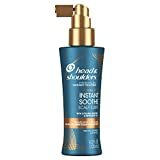 It works best at unclogging the pores on your scalp, cleaning your hair shafts and moisturizing your scalp, making both your scalp and hair healthy again. This oil is good for people with sensitive skin. It has many vitamins and minerals that work to naturally to heal your scalp, while at the same time, virtually immediately easing the irritation and itching of your scalp. Carrot seed oil is gentle on your skin and is absorbed quickly by your scalp. Carrot seed isn’t talked about as an essential oil. However, it works well for ridding your scalp of the irritation and dryness. It also conditions and protects your scalp from allowing a residue from building up again. Find out more about Botanical Beauty Carrot Seed Oil. 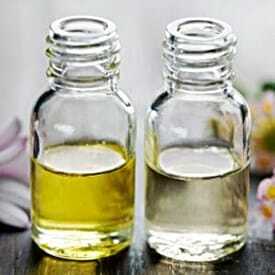 Essential oils are important for your overall health, and some people even use vegetable oil for dry scalp. It does have to be the right type. Taking a daily vitamin will put some nourishment back into your system. But, the direct application of oils will stop the itching almost immediately. The oils that are listed here have been thoroughly researched, and all have received excellent consumer feedback. It is important to use the best oil for dry scalp, which we believe is Now Foods Organic Jojoba Oil, and to ensure that it is regularly used. Fresh, cooling leave-in formula invigorates scalp and soothes to provide instant scalp relief, no rinsing required! CUTICLE AND NAIL CARE - Combination of carrier & essential oils creates the Perfect nail formula. Best nail strengthener, Ideal for nourishing of weak, brittle, dry, short & yellow nail. Nail treatment for nail growth & nail psoriasis. Promotes healthy and strong nails, fungal free nails & pretty nails. CUTICLES SOFTENER - Cuticle remover oil, use as cuticle conditioner & cuticle cleaner, Great for cuticle repair, better and faster results than cuticle cream with no chemicals added.